The most competitively priced stairclimber for spiral and flared stairs. Unique rear support wheel for safe movement on stairs. Breaks down into lighter units for transport in small vehicles. Easy to disassemble and store when not in use, quick to reassemble. 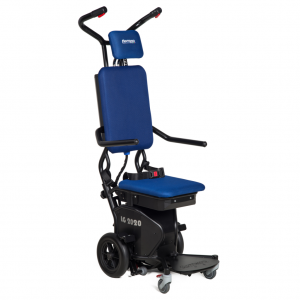 Extremely lightweight and in addition to its compact size is very easy to manoeuvre even in tight spaces. It is strong and durable with an autonomy that is unrivalled.